The Highlands. It sounds so impressive. Wild, rugged, windswept, untamed and undeniably Scottish. The Lowlands, on the other hand, does not sound nearly as awe-inspiring. Likewise, single malts from this region do not receive the same levels of celebration and esteem their more northerly counterparts enjoy. They lack a leader, a distillery to stand up and act as a champion for the area. Auchentoshan, just outside of Glasgow, could well be that champion. Auchentoshan, Gaelic for ‘the corner of the field’, are unique among (nearly) all Scottish distilleries in the sense that they distil their spirit three times. Most Scottish distilleries perform this process only twice; triple distillation is actually the norm in Ireland. This method leads to, at least according to the Auchentoshan marketing team, a purer, smoother spirit. The unique creation of this whisky certainly leads to a distinct flavour and this is immediately noticeable on the nose. It is pleasantly sweet with hints of vanilla and caramel combining to form the aromas of crème brûlée. There is also a zesty lemon scent, followed closely by pecans and walnuts. Once encountered it is never forgotten: it is simply the Auchentoshan nose. The interesting flavours continue on the palate, which is medium bodied and spicy. There is a pleasant candied orange taste and the overall effect is very smooth and elegant, perhaps a legacy of the triple distillation process. The finish is undoubtedly the most disappointing element of the dram. After the flavours initially combine so effectively they rapidly fade away to almost nothing. It is reminiscent of a movie with a disappointingly easy resolution (spoiler alert: I’m looking at you Indiana Jones and the Kingdom of the Crystal Skull). It’s smooth and enjoyable, just not long lasting and memorable. Perhaps another trait of the triple distillation? Or a quality you will have to buy the older expressions to discover? 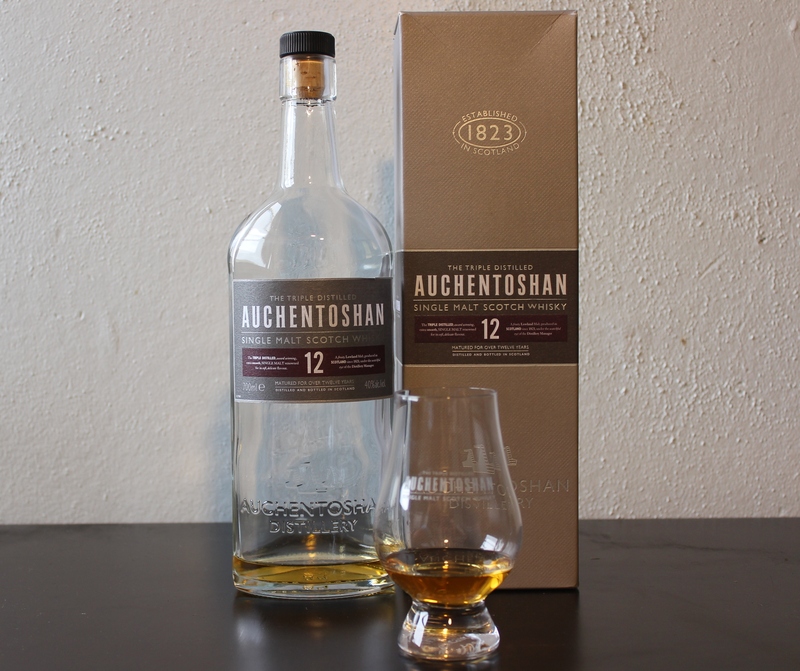 Regardless, Auchentoshan is a must try for any whisky drinker – if only so they can say they have tasted something from the not so impressive-sounding Lowlands.